ESET Smart Security has been replaced with our new, improved solution - ESET Internet Security! Fast, light and invisible, ESET Internet Security is the optimal security solution for your every day. Are you currently using ESET Smart Security? If you are, you will remain protected. If you want up-to-date online protection, upgrade for free to ESET Internet Security. In addition, you will get all new features contained in the latest product upgrade. 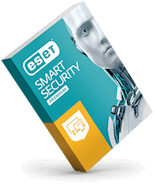 Looking to renew your current ESET Smart Security? What is ESET Internet Security? ESET Internet Security represents a comprehensive protection for your everyday online activities, thanks to ESET's perfect balance of speed, detection and usability. It’s trusted by over 110 million users worldwide to detect and neutralize all types of digital threats, including viruses, rootkits, worms and spyware. How does ESET Internet Security differ from ESET Smart Security? ESET Internet Security is built on ESET Smart Security foundation and represents logical evolutionary step. In addition to ESET Smart Security functionalities, it contains enhanced security features such as UEFI Scanner and Connected Home Monitor. As an ESET Smart Security user you will get more features and up-to-date protection for the same price. 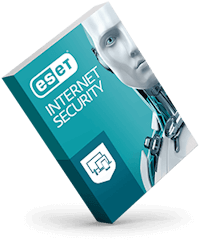 If interested, see full set of ESET Internet Security features here. How do I upgrade my current ESET Smart Security license to the ESET Internet Security license? There’s no need to upgrade your license, you’re already eligible for ESET Internet Security. Simply download the ESET Internet Security installer at https://www.eset.com/au/home/internet-security/download/, follow the instructions and enjoy safer internet. The upgrade to ESET Internet Security will be also available as an in-product upgrade for all ESET Smart Security users starting version 9. How much does it cost to upgrade to ESET Internet Security? Upgrade to ESET Internet Security is free, with no additional costs for all ESET Smart Security users. 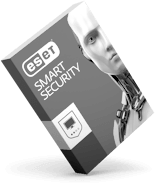 Can I keep my ESET Smart Security solution? Our primary goal at ESET is to fully protect our users. Hence we strongly suggest upgrading to ESET Internet Security to receive the latest protection features and updates. The ESET Smart Security will not be upgraded to the latest version, no new features will be added or existing ones updated, but will remain receiving virus database updates based on our end-of-life policy. Can I upgrade my ESET Smart Security to a different ESET product, not only ESET Internet Security? You can always upgrade to ESET Smart Security Premium. For more information visit local ESET e-shop for licensing and pricing options.